Decoding Our Past Through DNA Preview Secrets encoded in their genomes challenge guests’ ideas about their family histories. Watch Tuesdays at 8pm September 23 - November 25, 2014 on WMHT TV. Three guests know almost nothing about their fathers’ past. Stephen King’s father walked out on the family when Stephen was two years old and never returned; Courtney B. Vance’s father was a foster child and never knew who his biological parents were — after his suicide, Courtney wants to learn more about his roots; and Gloria Reuben’s father was 78 years old when she was born — he died when she was young, taking the secret of his ancestry with him. Henry Louis Gates solves the mystery of their paternal ancestry and introduces them to relatives they never knew they had. Three of America’s greatest athletes, whose determination and love of sports were deeply shaped by their families, were all cut off from their true origins. Billie Jean King learns the story of her grandmother, who had always kept her orphan status a secret. Derek Jeter confronts his ancestors’ lives as slaves and learns that they were owned by a white man named James Jeter — the source of the Jeter name and Derek’s third great-grandfather. Rebecca Lobo finds out that her Spanish ancestor fought side by side with a famous revolutionary and was forced to flee Spain because of his democratic ideals. Three iconic American storytellers have spent their lives chronicling the lives of others, while knowing almost nothing about their own family history. Ken Burns confronts the reality of his southern ancestors’ role in the Civil War, including Confederate soldiers held captive and a slave-owning Virginian. Anderson Cooper, scion of one of America’s most storied families, the Vanderbilts, longs to know more about his father’s southern roots — including the story of an ancestor murdered by one his slaves. Anna Deavere Smith learns the story of her great-grandfather Basil Biggs, a free black man and former conductor on the Underground Railroad. All three guests’ ancestors intersect at pivotal moments of American history. Three celebrity chefs who cook the food of their ancestors discover family members who have shaped their lives — and America’s cuisine. Tom Colicchio of “Top Chef” learns the hardships his family endured (famine, bandits) living in a tiny town in Northern Italy and celebrates the courage of his original immigrant ancestor, a man who crossed the Atlantic many times to bring the Colicchios to the United States; Ming Tsai, the child of immigrants who fled Mao’s Cultural Revolution, was raised to believe that his that his family’s Chinese past was obliterated by the Communists — instead, he finds that his roots can be traced back more than 2,000 years, yielding a large family tree; and Aaron Sanchez discovers that his family’s treasured Mexican roots include people who were Spaniards, Africans and Native Americans. Trace three guests’ roots into the heart of slavery, revealing that there is no singular narrative and challenging preconceptions of an era that profoundly shaped our nation’s sense of itself. Hip-hop artist Nas discovers a web of his slave ancestors and their intimate relationship with their slave master; award-winning actress Angela Bassett meets ancestors whose slave family tragedy is rivaled only by a triumphant emancipation story; and presidential advisor Valerie Jarrett goes back in time more than 200 years to meet a formidable line-up of free people of color — all of them of trailblazers. In this episode we learn about the ancestors of three celebrated Americans who not only share a Jewish heritage but a history of perseverance in the face of withering opposition. Tony Kushner delves into the history of the Holocaust to discover his ancestors’ fate; Carole King learns the origins of her family name and confronts the reality of the discrimination her ancestors faced in America; and Alan Dershowitz finds out that the first Hassidic synagogue in Brooklyn, started by his great-grandfather, played a secret role in WWII. Sally Field learns that she descends from William Bradford, who arrived on the Mayflower and helped his fellow Puritans establish their new lives in colonial America. Her ancestors sided with the British crown during the war for independence and paid the ultimate price. Deepak Chopra’s family made a similar gamble while living under harsh British rule in India — his grandparents pledged their loyalty to the British in hopes of achieving a higher place in society, and his father chose to fight alongside British soldiers during WWII. Sting’s ancestors, who fueled Great Britain’s world dominance during the Pax Britannica by building its merchant ships and working in its coal mines, toiled under unbearable working conditions and Dickensian poverty. “Ancient Roots” traces the family histories of three quintessential voices in American life. All descend from ancestors who were part of the wave of Greek immigrants in the early decades of the 20th century. But along the way, the stories of their Greek ancestors were lost. Tina Fey’s fifth great-grandfather survived a terrible massacre and became a hero in the Greek War of Independence. David Sedaris’ ancestors were also touched by the Greek War of Independence. Their home village was raided by the Ottoman military and David’s great-grand-aunt was taken captive — never to see her family again. George Stephanopoulos’ family was willing to sacrifice themselves in the struggle against the Nazi occupation of Greece during World War II. Deval Patrick is the first African-American governor of Massachusetts and Jessica Alba is an actress who proudly embraces her Mexican-American heritage. But cutting-edge DNA analysis reveals that the family trees contain a far more diverse range of cultures and races. Alba descends from Jewish and Mayan ancestors and the official cartographer of France’s King Louis XIV. Deval Patrick’s roots lead to a black homesteader in Colorado and a white master who gave his former slave land after the Civil War. DNA is used to delve deeper into the families of other guests in the series, including Valerie Jarrett and Anderson Cooper, and to overcome dead ends on host Henry Louis Gates, Jr.’s own tree. The secrets encoded in their genomes challenge these guests’ ideas about their families’ histories and their identities today. 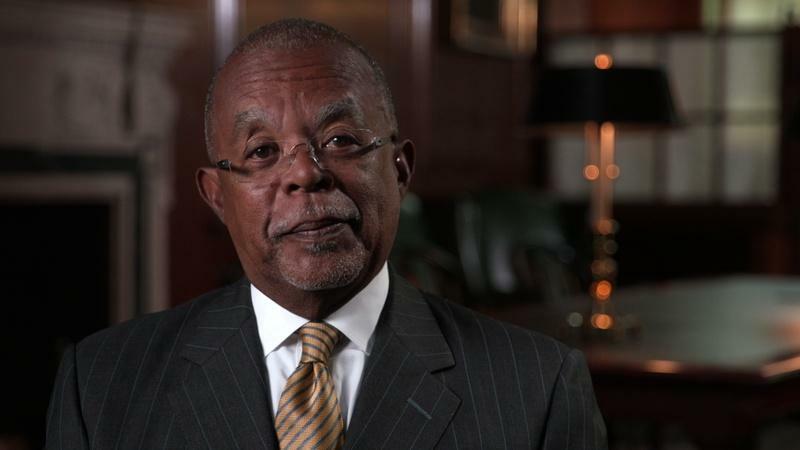 Finding Your Roots host Henry Louis Gates, Jr. shares a story from his family history. 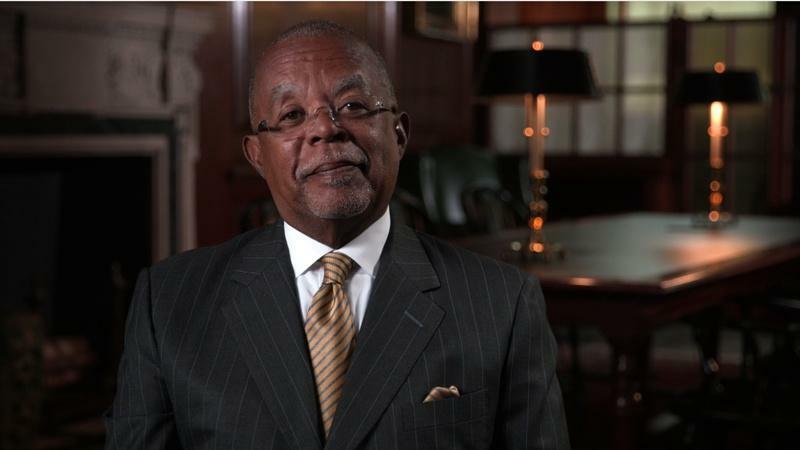 Henry Louis Gates, JR. invites you to share your own family history.